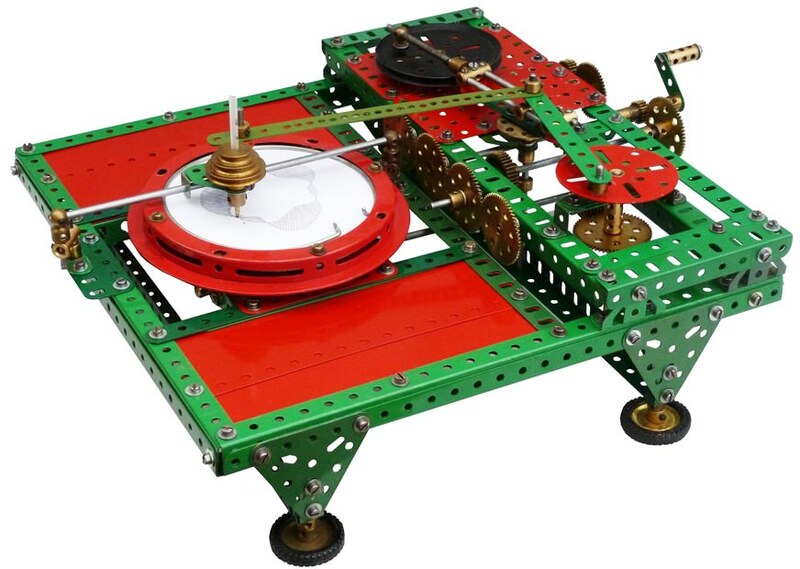 This is a Meccanograph that produces patterns composed of gradually shortening and lengthening straight lines on a circular table. The Sho-Lin mechanism is relatively easy to build, once you understand how it works. The model is hand-driven but it would be quite easy to motorise.